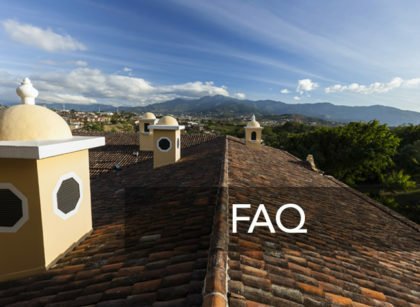 The Hacienda Guachipelin borders the area of the Rincon de la Vieja National Park, it has views to both the Rincon de la Vieja Volcano and the Pacific Ocean. This ranch offers many adventure activities to do just in one day, like: tubing, horseback riding, Canyon canopy, volcanic mud pool and thermal waters. Experience a real canopy tour that includes zip lines together with rappelling, rock climbing, tarzan swings, hanging bridges, all set in the majestic canyon. After lunch time, we will be ready for the tubing adventure. A tractor ride through the dry forest gets you to the changing rooms, after a short safety briefing each one gets his own personal round raft, to get his adrenaline pumping as he rides for one hour and a half down the river. The last part of our trip is horseback riding for about 3km to the Volcanic mud pool and thermal water. Heat surfaces through a crack in the deep geological formations, and boiling mud pools are formed, which emanate a vapor with smell of sulfur. The volcanic mud and water have healing properties. Recommended: Camera, sunscreen, swim trunks, rubber sole shoes, complete change of clothes and towel, sunglasses with secure head straps and a baseball cap that fits tight. Tour includes: Transportation, bilingual guide, lunch and entrance fee. 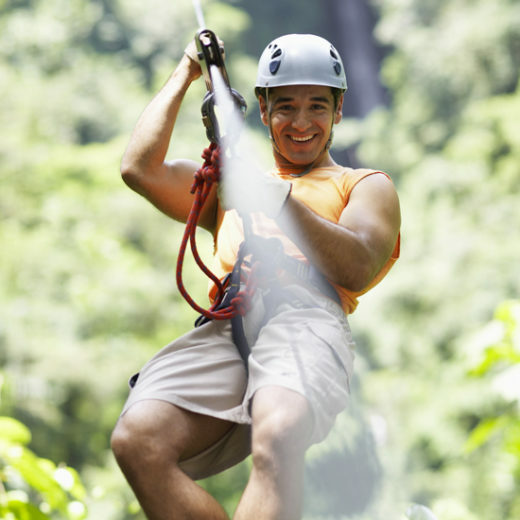 This canopy tour, located in a tropical dry forest in Guanacaste is a full time adrenaline rush. 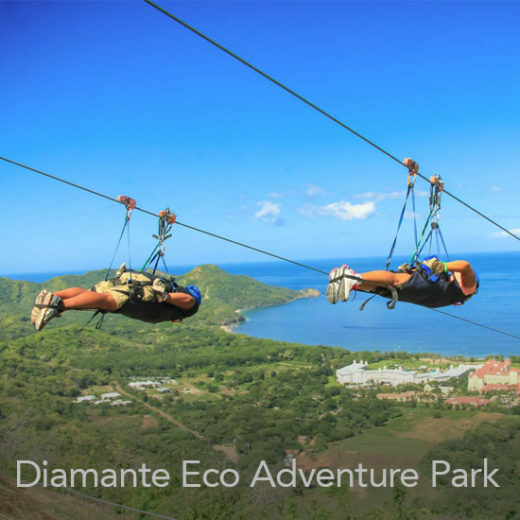 The complete tour lasts approximately 3 hours and consists of suspended platforms connected with steel cables through-out the tree tops. To move from tree to tree we use pulleys and climbing gear of the best quality. This system of platforms allows visitors to appreciate nature from the top of ancient tropical trees. No rappelling or climbing is involved on this tour and a guide will receive you at each platform, making of this the best canopy adventure. Recommended: Long pants, insect repellent and walking shoes. Tour includes: Transportation, entrance fees and bilingual guide. 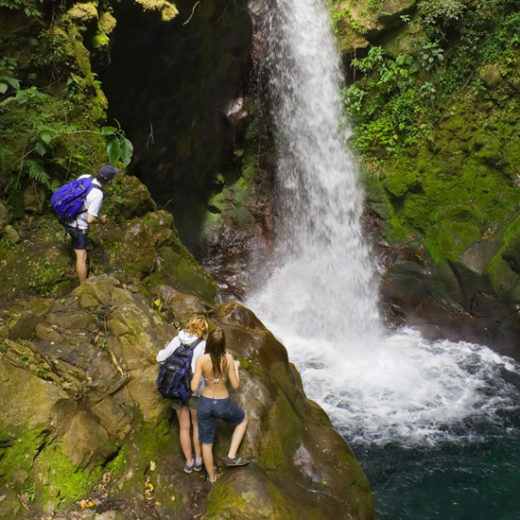 During the day you will be ready to transfer to Rincón de la Vieja National Park. The tour not only provides the opportunity to appreciate Rincon de la Vieja geothermal wonders but also allows a close view of an ancient forest hundreds of years old. These huge trees house protect spider monkeys, leaf-cutter ants, toucans and all kind of great and small creatures. Recommended: Light clothes, sunglasses, walking shoes, hat, and sunscreen. The Corobici River is the perfect introduction to rafting and a great adventure experience for people of all ages. During the two hour ride on a rubber raft down the river, we will pass through tropical dry forests, where we can be see the beautiful Guanacaste tree, as well as some animals that live in the forest, such as exotic birds, Jesus Christ lizards and monkeys. Before we board the raft, a certified guide will instruct you on safety procedures. Recommended: Shorts, sandals or tennis shoes, swimming suite, towel, sunscreen, sunglasses and extra clothes to change into. 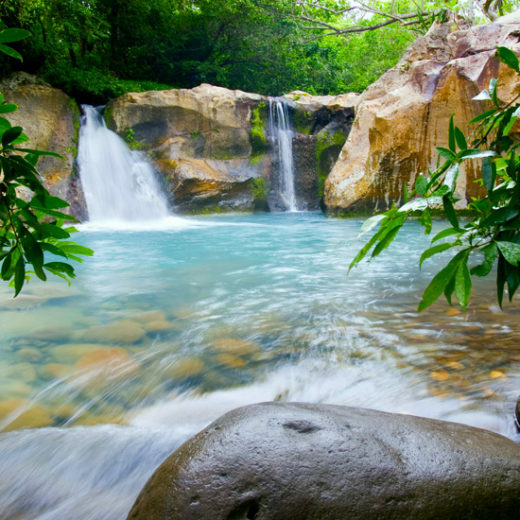 Palo Verde is one of the most important and interesting National Parks in Costa Rica. It has at least 12 different habitats within the park including: mangroves, swamps, swamps forests, saltwater and freshwater lagoons and marshes. In this tour you will get into the Tempisque River, the most important river of the Guanacaste. On this river you will enjoy a two and a half hours boat ride. 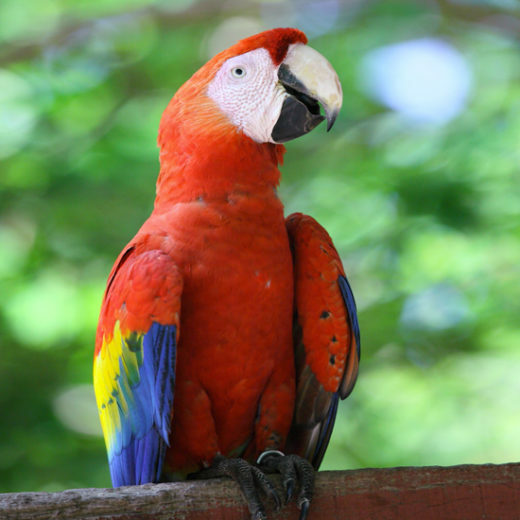 From the boat, watch the fabulous array of wild birds and a myriad of creatures such as howler monkeys, green iguanas and coatis, anteaters and crocodiles. The park provides shelter for a great variety of birds such as the American Woodstock, the Roseate Spoonbill, the Boat-billed Heron, the Tiger Heron and the Tropical Kingbird. This is a great tour for those who love nature and bird watching! 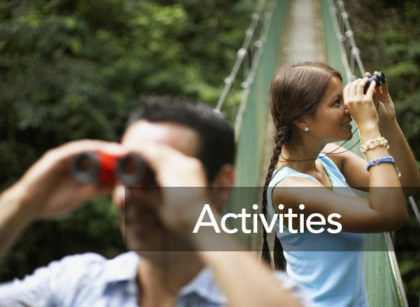 Recommended: Camera, binoculars, sunscreen, insect repellent, hat or cap. 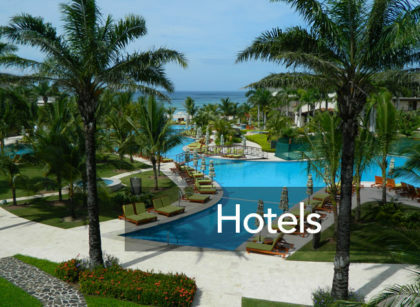 During the morning, you will have time at leisure to enjoy the area and the facilities of your resort. 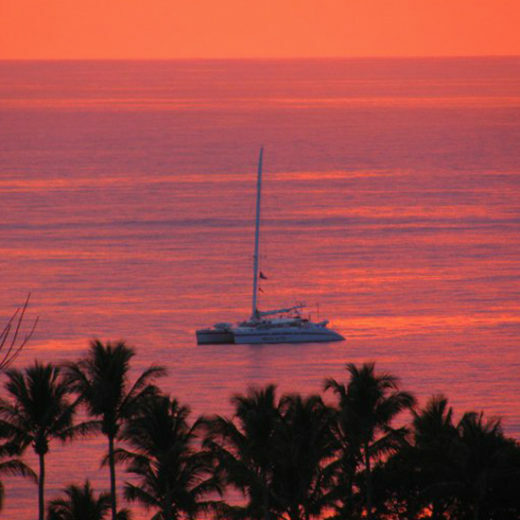 After midday, enjoy a fantastic Sunset Tour aboard a great catamaran. 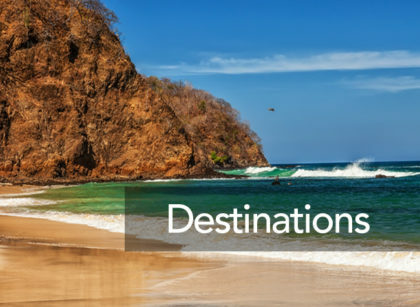 Silently glide along Costa Rica’s Gold Coast while passing some of Guanacaste’s exotic bays, white sand beaches, tropical jungles and rain forest. Gaze off the bow with a cold tropical drink prepared and served by our crew as you scan the seas for dolphins, sea turtles, flying fish or even a breaching whale. Stop in a tranquil bay, drop anchor and frolic in the blue Pacific. 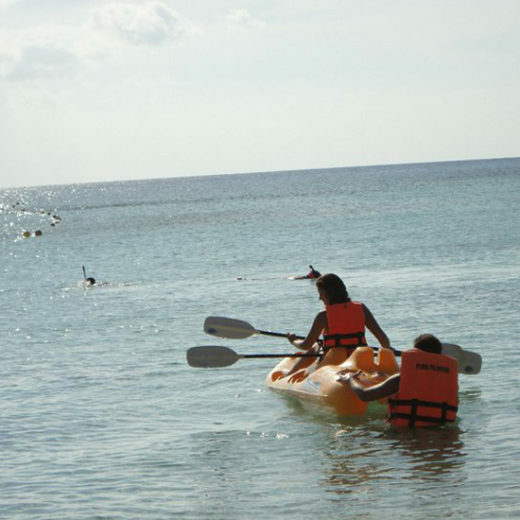 Stand up paddle through sea caves, float on a raft, snorkel in the bay or run down the deserted white sand beach while the ever helpful crew prepares a feast of chicken or pasta salad, fruit, chips, pico de gallo and guacamole. The Marlin Del Rey catamaran will set sail and you will hear the waves slide along the giant catamaran as the sun sets, illuminating the clouds left in the sky. Bring your camera and capture the moment everyone throughout the world talks about when on board the Marlin Del Rey catamaran. Tour includes: Transportation, bilingual guide, equipment, light lunch and open bar. If you are prepared for a huge adventure, you are surely ready for this!!!! 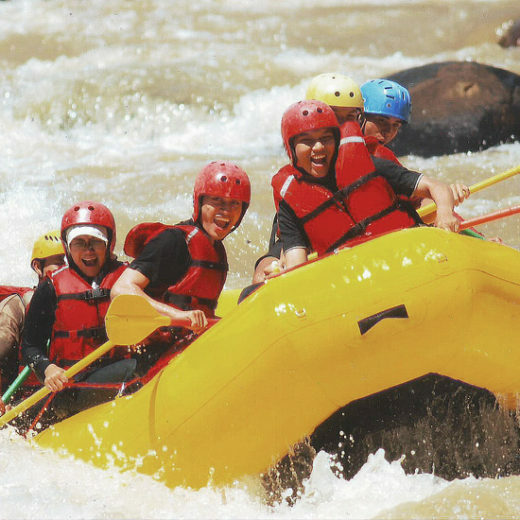 The Tenorio River will test your courage with its rapids class III and IV. For those already rafters this trip is a must, its continue challenges await you as you plunge through twists, turns and drops down 10 miles of intense, challenging rapids. All participants must be in a good physical condition. This is a pure magic trip, unsurpassed beauty and stunning wildlife scenery that will take your breath away. Recommended: Shorts, sandals or tennis shoes, swimsuit, towel, sunscreen, sunglasses and extra clothes to change into. Tour includes: Transportation, English speaking tour guide, entrance fee, lunch and equipment. As you row through the blue smooth waters of Tamarindo beach towards the white sand Capitán Island, you will be able to enjoy the beautiful colors of the water, and observe underwater coral reef, and exotic fish. This tour is perfect to be done with the family. Recommended: Swimsuit, shorts, T-shirt, camera, sunscreen and cap. Tour includes: Transportation and tour guide, bilingual guide and equipment. 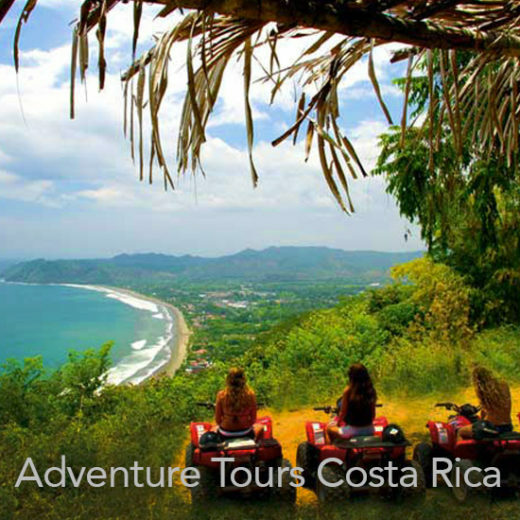 ATV Tours in Costa Rica are a great opportunity to explore the land, mountains and dry rain forest. Feel the wind in your face and your thumb on the throttle as you rev up your adrenaline and adventure. Ride through the hills where you will see beautiful landscapes and breathtaking ocean views. Recommended: Light clothing, sneakers, camera and binoculars. Tour includes: All Terrain Four-Wheel Vehicles (ATV`s) fully equipped, safety helmets, experienced bilingual guides, and round-trip transportation. Experience it all! Diamante’s Adventure Pass gives you the opportunity to experience everything Diamante has to offer and includes a free welcome drink and lunch. 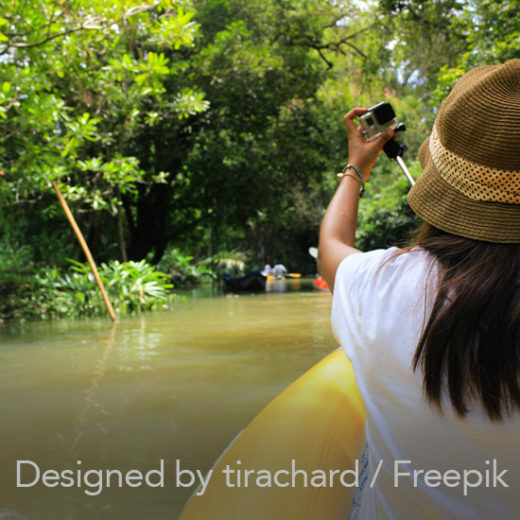 Recommended: Comfortable clothes, sandals or water shoes, towel, sunblock, camera, insect repellent, walking shoes, swimsuit, shorts, waterproof camera, hat or cap. Tour includes: Round-trip transportation and entrance fees.